It is also a convenient base for visits to Lake Maggiore, Stresa and its jewel-like islands, Locarno and Switzerland, Milan with its superb shopping opportunities, not to mention the nearby factory stores of top level Italian design: Alessi and Lagostina, Loro Piana and Colombo, the fine wines and wineries in the Novara hills, and the nearby mountain resort of Mottarone and its gorgeous views over no less than 7 lakes. The warm welcome, smiling professional service and friendly helpfulness of the staff at the Hotel L’Approdo will be a byword during your relaxing, peaceful stay here. 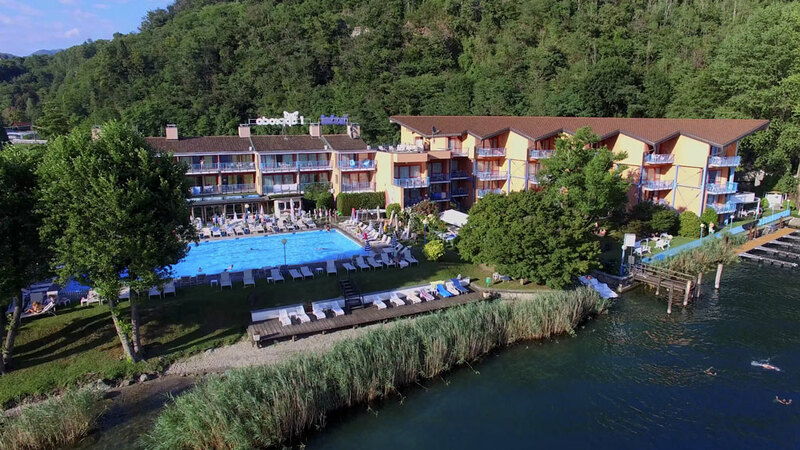 The hotel’s Ristorante La Terrazza offers well presented regional and internationally appreciated specialties with a touch of creativity in the pleasant dining room and terrace which overlook the crystalline waters of the lake and the hill opposite. Fine cuisine and a strong sense of hospitality are our pride and joy and for three generations we have made quality materials and fine service our own personal corporate philosophy, so that your stop with us will be unforgettable. Hotel restaurant L’Approdo.